God’s spirit of wisdom is personified in the Proverbs as a woman of dignity and honour. “Wisdom” is concerned about the health and happiness of her people. She raises her voice and implores her people to transform their lives by listening to God’s instructions. She envisions the future time when God’s Spirit will be poured out on the remnant of the people that would listen to God’s call to repentance and transformation. Are we hearing the Spirit of Wisdom and Truth and walking with the Spirit at our side? Jesus encourages those who are “thirsty” to come to him, and drink rivers of living water. He is referring back to Isaiah’s prophecy of the time when the Spirit will be poured out like water. 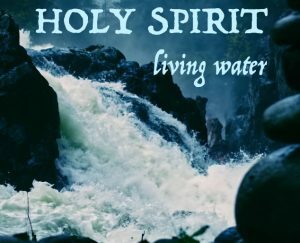 This future vision is one of streams of living water in the desert and the Spirit refreshing all those who are thirsting for God’s ways. It envisions a time when God’s Spirit will wash away the stain of sin and cleanse those who repent and return to God. In that day the desert will become a fertile field, and justice and righteousness will usher in an age of peace and quiet. God’s Spirit will be a refuge and a shelter to all who trust in God — like the pillar of cloud and fire that led and protected Israel in the wilderness. It is God’s Spirit that makes his people holy and able to stand in God’s presence. But what will the coming of this Messianic age mean for those who rebel, embrace evil, and declare themselves the enemies of God? God’s Spirit is also one of judgement and burning. God’s Spirit is his arm of justice, repaying the evil doers, deed for deed. His breathe will slay the wicked. Yet God offers a better way! He counsels us to walk in David’s footsteps. In a spirit of humility, and with a repentant heart David confessed his errors and pleaded with God, “Don’t take your Spirit from me. or banish me from your presence.” God heard David’s prayer of repentance. God does not change. God will hear our sincere prayers for forgiveness and restoration, too.